Welcome to the Community Ag Market! The CAA Market creates connections for local producers to local customers with a weekly online order cycle and order pick up in downtown Steamboat. We also offer limited In-Stock items at our walk in Farmer’s Market on Mondays and Fridays. We believe local food matters and your support allows producers to keep agriculture vibrant in our community. Please spend some time on the Product Listing as new products are often added and updated. And check out the Meet Your Producer page where you’ll learn more about our local producers, how they grow and raise the food we eat and why they also believe in local food. Be sure to confirm and fully complete the order process. Search by Category, Producer or Product! We will send login and more info. We ask producers to support the CAA Market program with an annual membership contribution. Log in at the bottom of the page, at Producer Login. Give it a try and then we hope you’ll want to support this program with an annual membership of either $25 or $50 ($5 fee will reduce these amounts). New customers can simply choose a $5 one time fee to order on the CAA Market. Nope, so buy what you want when you want! Orders are picked up at our offices, located at 141 9th Street downtown Steamboat Springs. Corner of 9th and Oak Streets. Regular orders can be picked up Fridays 9 am till 5:00 pm. We are open Mondays and Fridays for walk in shopping for what’s in stock. You will receive an automated email with order confirmation and total. Remember some products are sold by weight, so the final price will not be available till weights are entered on Friday. Cash, local checks and all major credit cards. Payment due at time of order pick up. CAA does charge an additional 2.9% for all debit and credit cards. We are happy to accept local checks and cash! Why should I order from CAA market? Purchasing local food and products makes a direct economic impact keeping your dollars local, helps reduce environmental impacts and offer fresh, healthy food choices. The average plate of food travels 1,500 miles. All of our producers are within 40 miles…all local from the Yampa Valley. Make your plate fresher, sustainable and buy local! Be sure to check back often, as new producers and new products are added. Join our mailing list to get weekly updates. 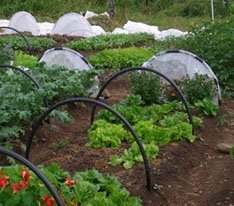 Community Agriculture Alliance (CAA) is a local (Steamboat Springs, Yampa Valley, Routt County, NW Colorado, etc.) non-profit organization committed to promoting and supporting local agriculture.